Earn $54.90 in Rewards credit (5490 points) What's This? 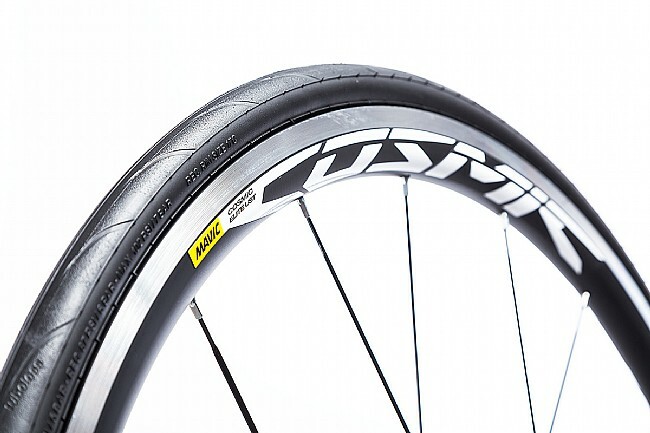 Bringing their superior ride quality and added aerodynamic benefits of Mavic's integrated Wheel-Tire system, the Cosmic Elite UST Wheelset delivers an aerodynamic wheelset for the budget-conscious cyclist. 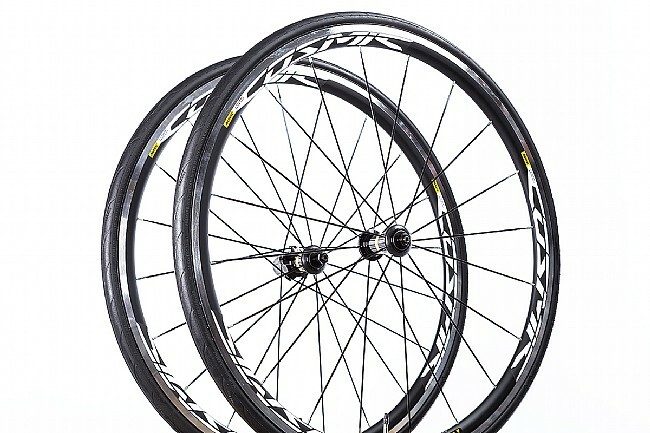 If you're on the lookout for a race day wheelset that provides tubeless riding and supports disc brakes without compromising on aerodynamics, look no further than the 30mm deep Cosmic Elite Disc UST Wheelset. 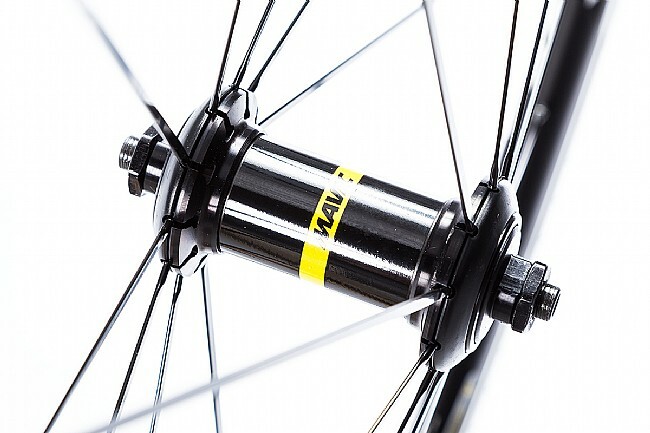 Featuring Mavic's UST Tubeless technology, these wheels include a pair of 700cc x 25mm that are easy to install or remove, and are easily seatable with a standard floor pump, requiring as little as 47 PSI. 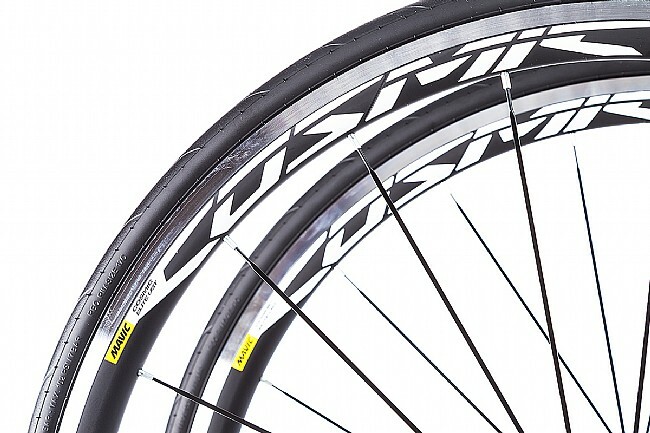 With a 17mm inner rim width, the Cosmic Elite's pair ideally with 25mm tires, providing superior ride quality with increased air volume. 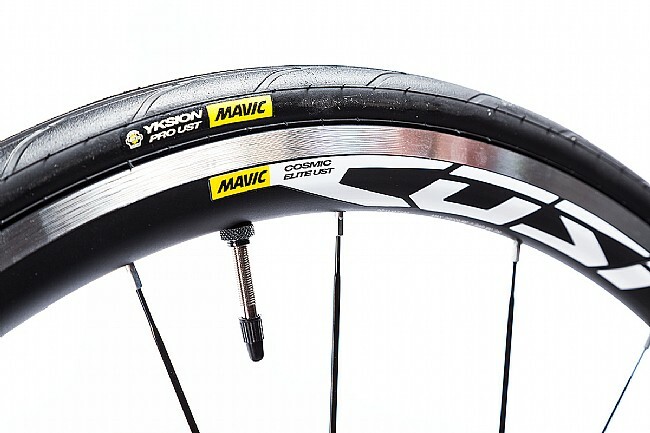 The Mavic Cosmic Elite UST Wheelset includes Mavic tire sealant, sealant syringe, tubeless rim tape, BR101 quick releases, and UST valve and accessories. 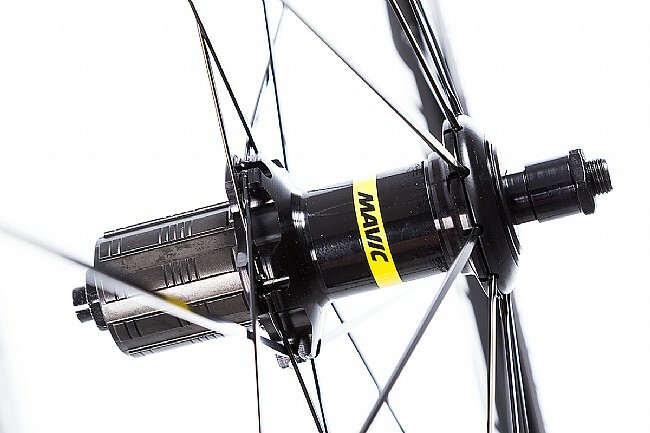 Hubs: Mavic Cosmic Elite, FTS-L Steel freehub (Shimano/SRAM compatbile). Spokes: Ultra-bladed steel straight pull. 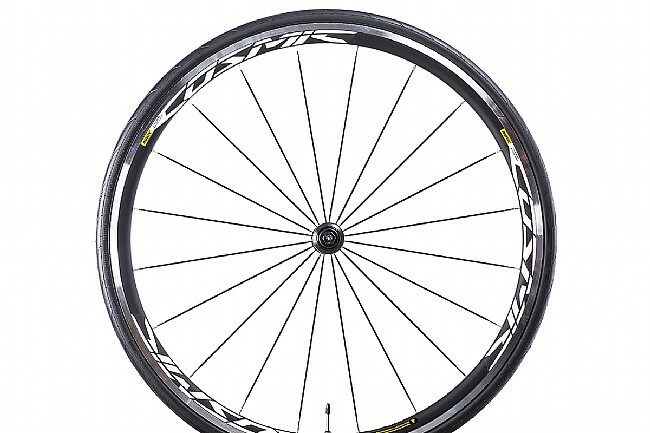 Spoke Count: 20 front and rear. Claimed Weight: 815g front, 955g rear, 1770g set.